When Hurricane Harvey flooded their Fleetwood subdivision in west Houston, Gayla and Russell Bentley, along with their dog, Skipper, were rescued by a Coast Guard boat. They had to wait two weeks to return to their neighborhood, which had never previously flooded in the 27 years they had lived there, for the chest-deep water to recede. 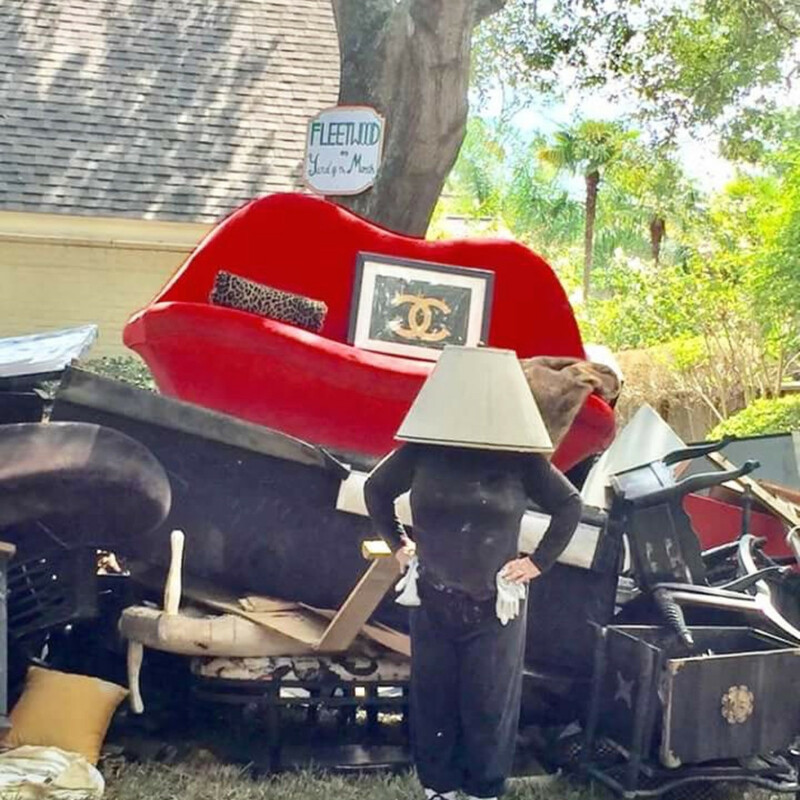 And when they did, they found nearly all of their furniture and personal belongings had been destroyed. They don't have flood insurance (friends have started a YouCaring crowdsourcing relief fund to help them out), but they still have a good sense of humor and a keen understanding about the important things in life. 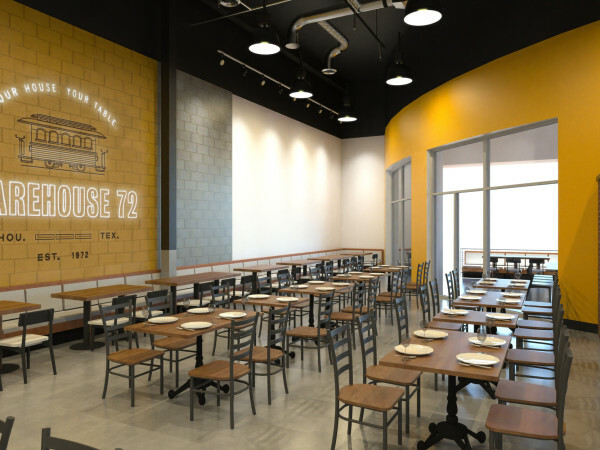 Though the first floor of their home has been stripped down to the studs and it will be months before they can move back in, they decided they needed some closure now. 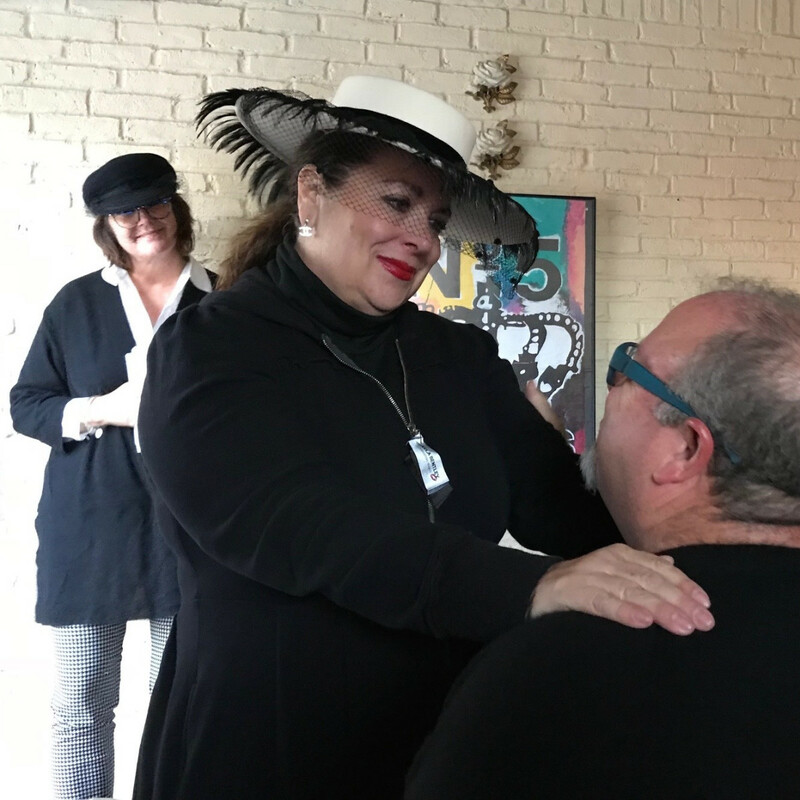 So on a recent sunny afternoon, the couple and Gayla's pal, Laura Beggins, invited their friends and loved ones to a "fashion funeral." 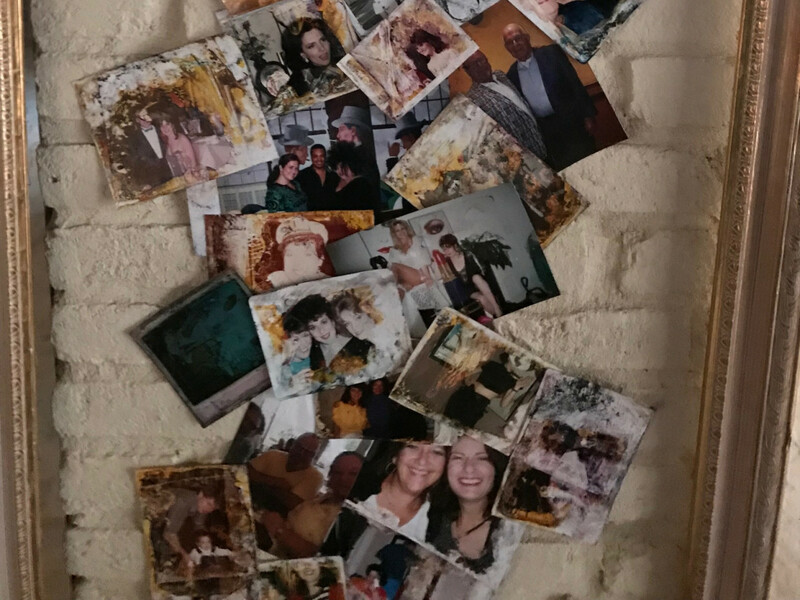 "We were stripped bare by Harvey, but only of our things and not of our friends. We don't want to carry this burden or this grief any further. 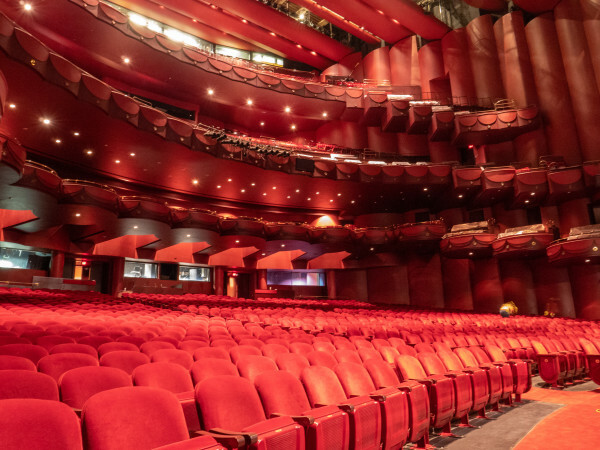 We just want to say goodbye to the tragedy of it all, the devastation, everything we lost, and look to the future," Bentley told the crowd. 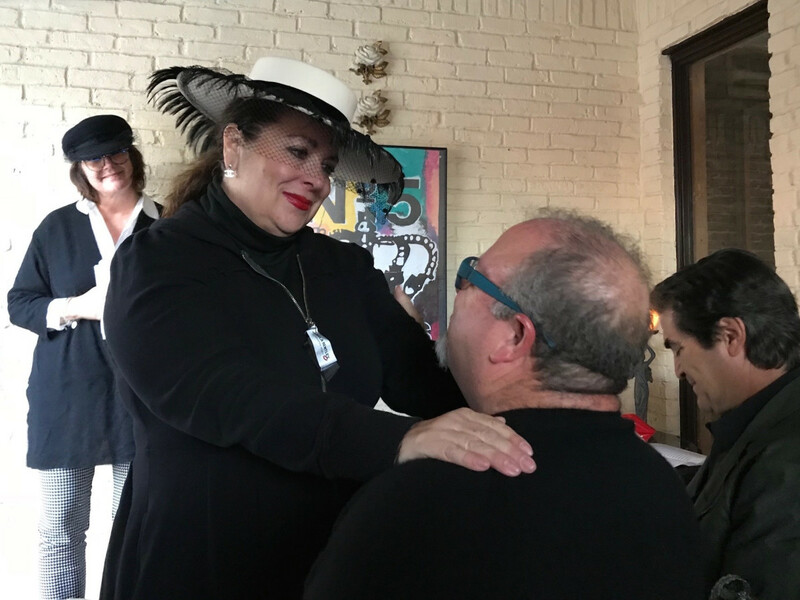 Bentley, a beloved Houston fashion designer known for her chic sense of style (her correspondence is always marked with a red lipstick kiss and she often wears distinctive hats), and Beggins are neighbors who became fast friends over their shared love for fashion. 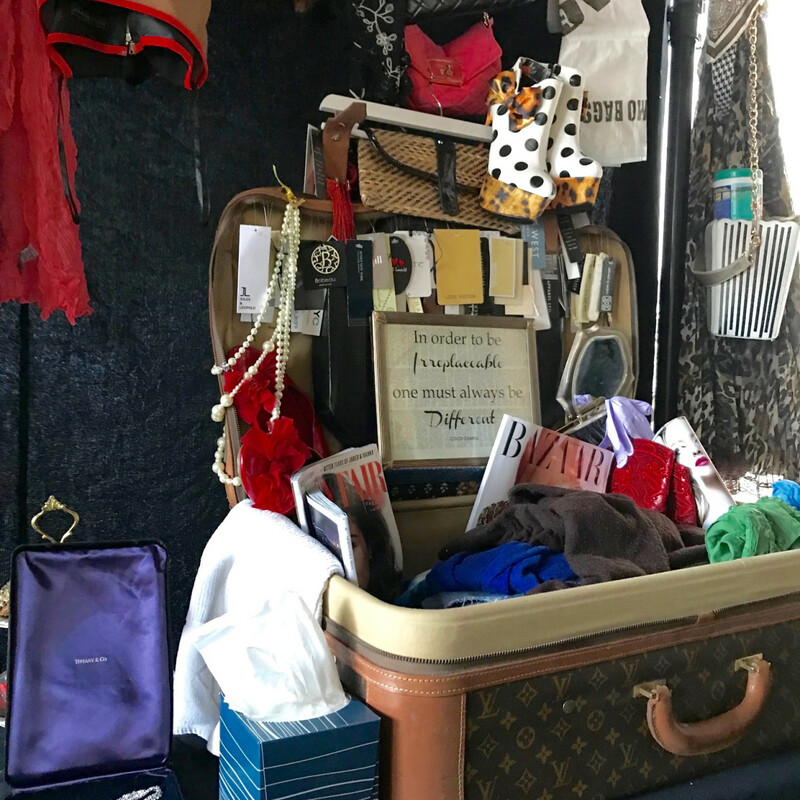 The night before the storm, they had combed through their closets and laid out high-end items they planned to sell to help finance a trip to Paris this month to celebrate Bentley's birthday. 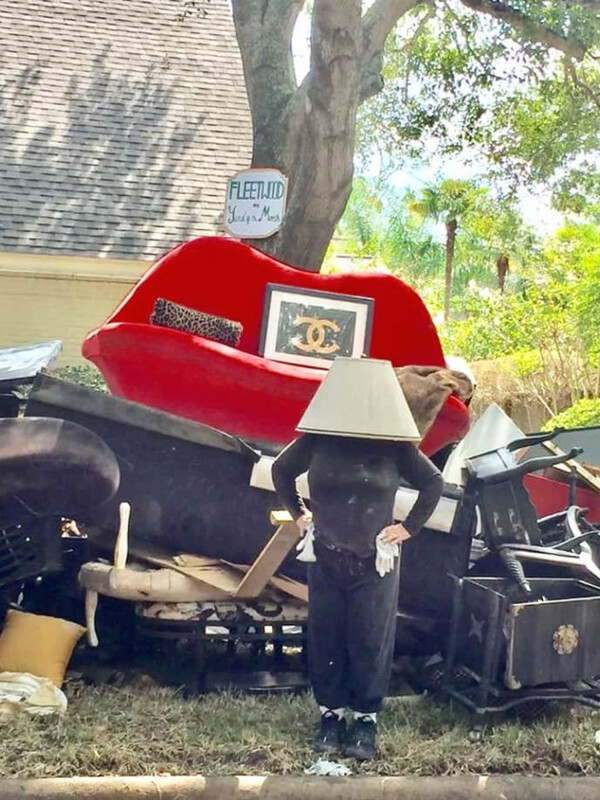 All of those items were lost in the flooding that ravaged their neighborhood, along with most of their wardrobes — except for a few treasured items that were at the top of their closets. 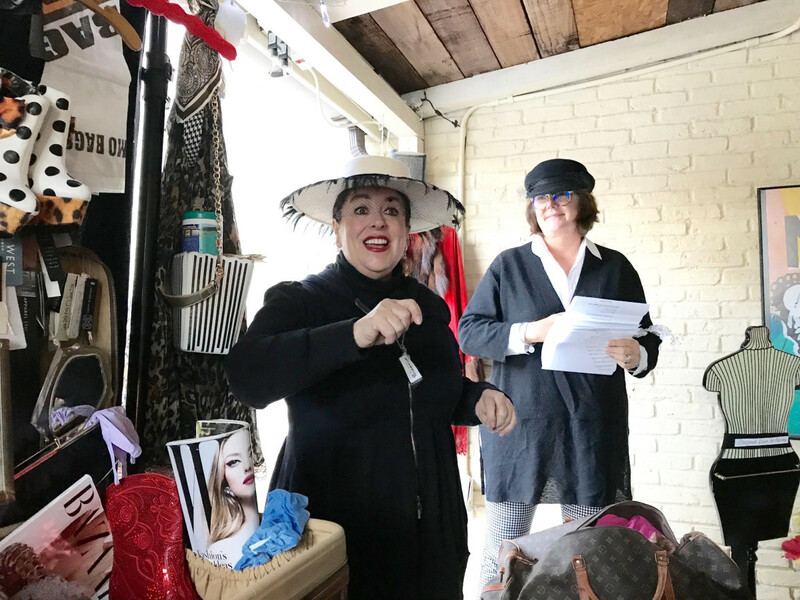 "All my hats survived, but I have nothing from the head down," said Bentley, who wore a hat owned by Lady Walker, the legendary mistress of Howard Marshall. 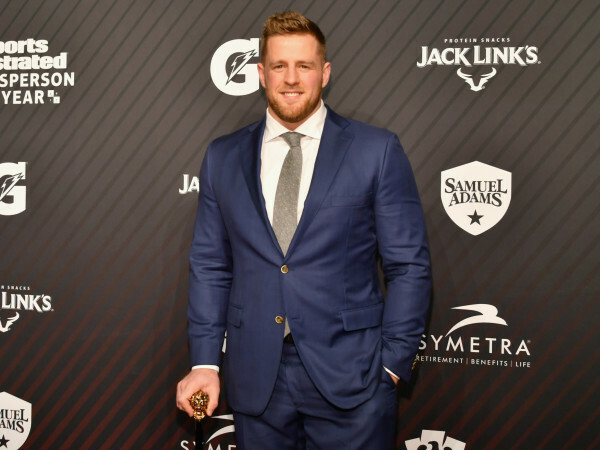 "I have heels but nothing from there up," Beggins explained. "My heels were on the top shelf." 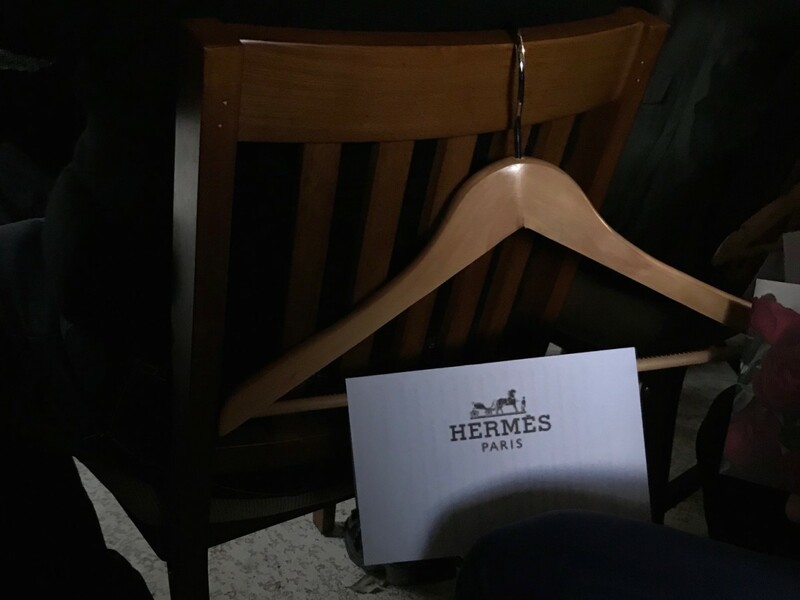 Instead of celebrating in Paris, they gathered with close friends in Bentley's back yard pool area, where on the back of each chair was a wooden clothes hanger emblazoned with program bearing a different high-fashion design label — Hermès, Dolce & Gabbana, Prada, Chanel, Dior, Armani, Gucci, Valentino, Burberry, and, of course, Gayla Bentley. 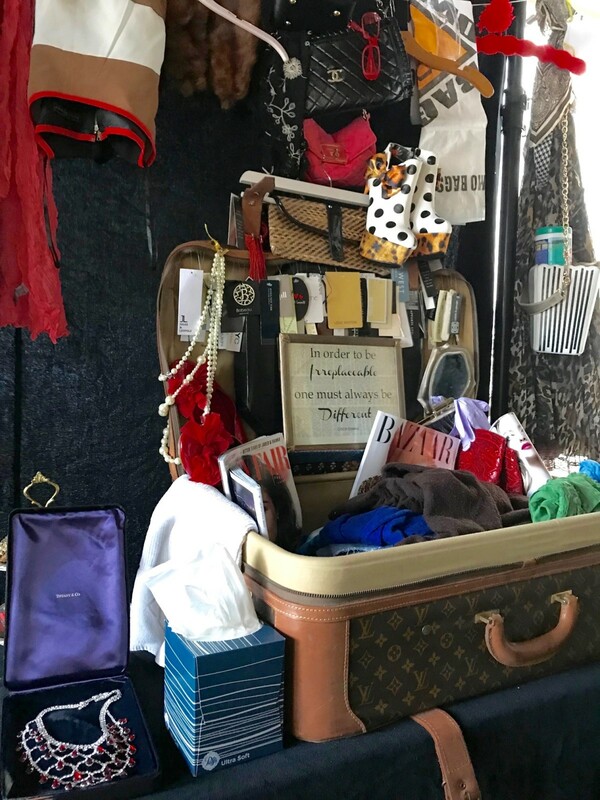 Nearby, a Louis Vuitton suitcase held some of the few possessions that had been saved from the flood an arranged in a tableau that resembled a Day of The Dead retablo. 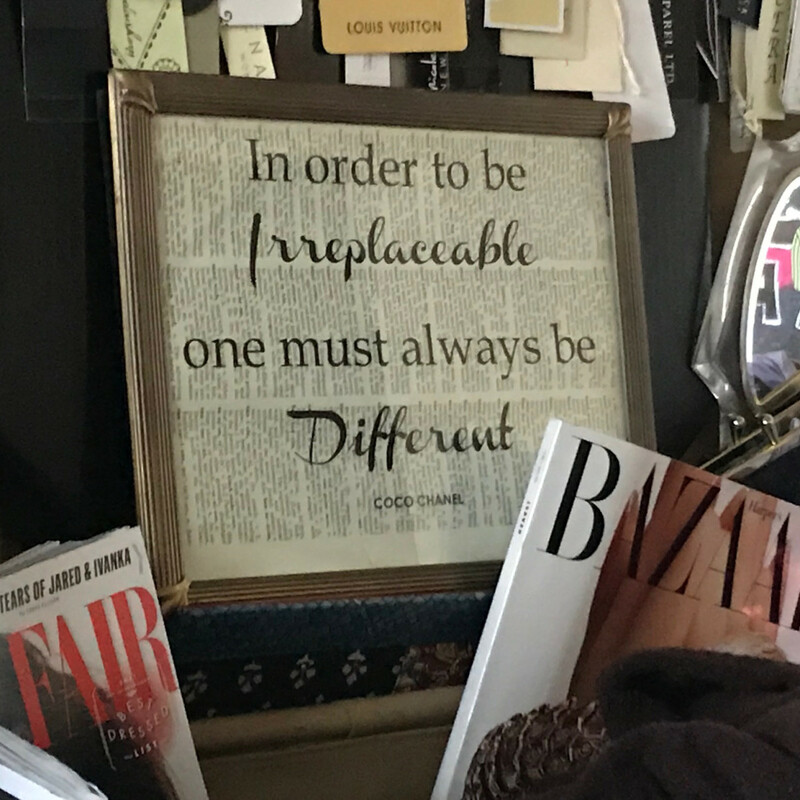 It was highlighted with a framed picture of one of Bentley's favorite quotes by Coco Chanel — "In order to be irreplaceable one must always be different" — that had been found floating in the putrid waters, along with makeup and other personal belongings. Bentley retrieved it, dried it out and saved it. They had hoped to conduct the service at the Addicks reservoir, the source of the water that flooded their neighborhood when the U.S. Army Corps of Engineers had released it in the middle of the night, but they worried they would get arrested for trespassing. 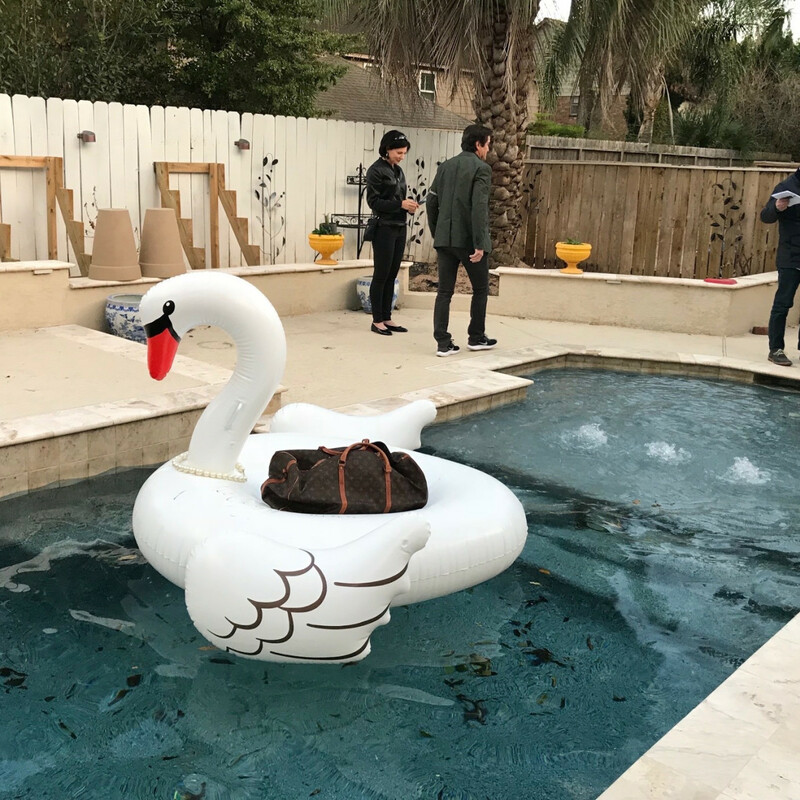 So instead, they took a Louis Vuitton duffel bag — "It survived, but still smells like the flood," Bentley explained — and deposited symbols of the things they had lost and mourned. 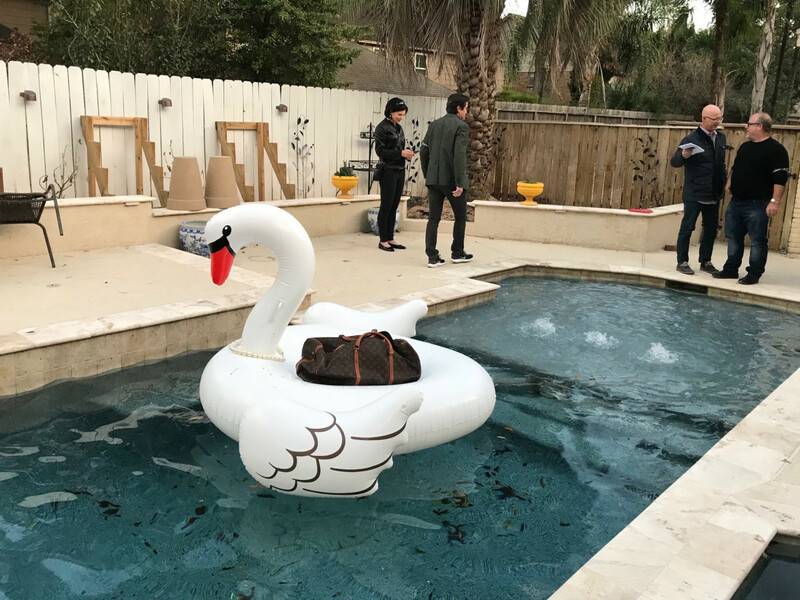 They then placed the duffel on a large inflatable swan — Bentley calls it "Yves Swan Laurent" — that had somehow miraculously survived the flooding, and set it adrift in the swimming pool. "This 'fashion funeral' is a homage to what shaped our personal style," Beggins told mourners. "We don't grieve for stuff. 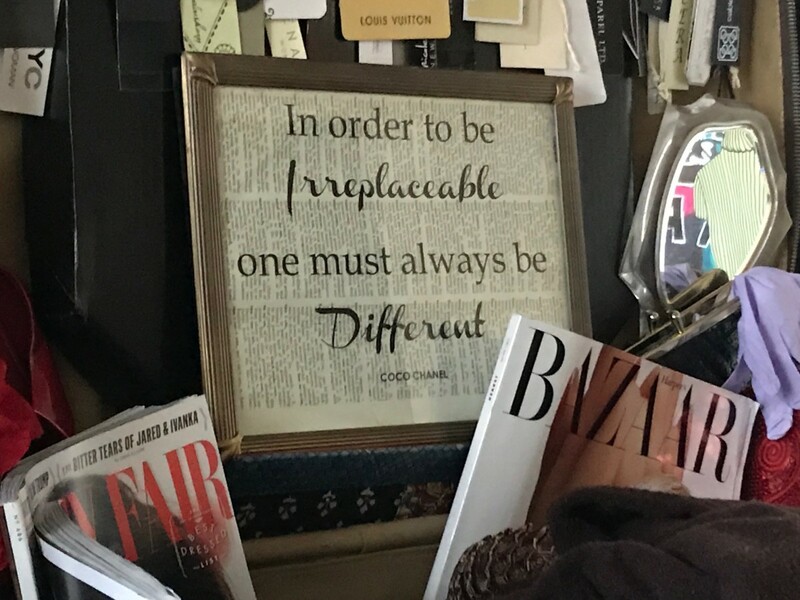 We know that's all replaceable. Today we grieve for the symbols of joy, the carriers of happiness and the deliverers of harmony that impregnated the things we lost." 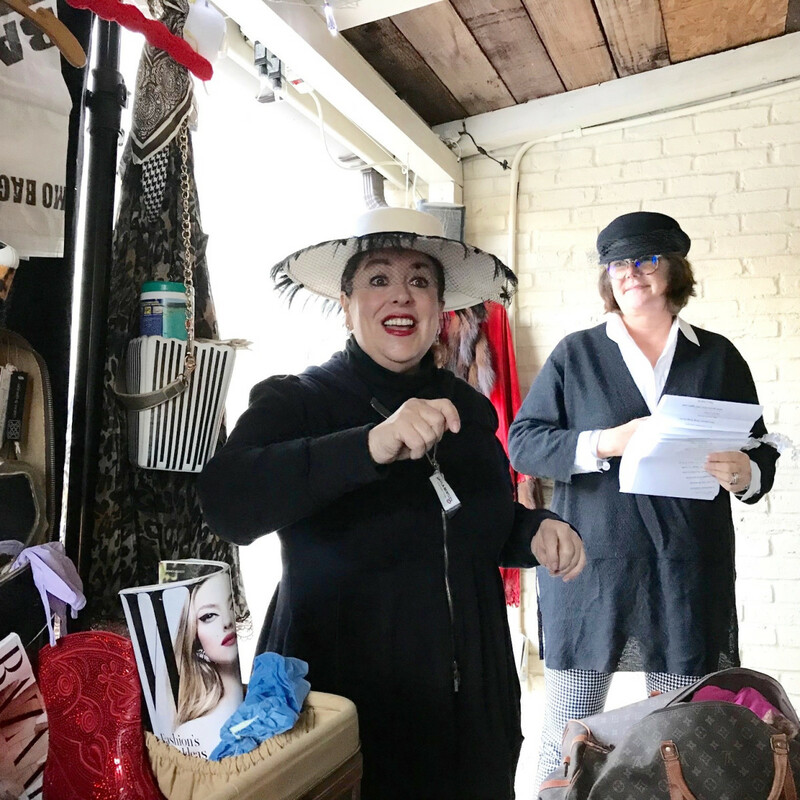 In a poem, the duo said that among the things they mourn are "the saved-for-special-occasion outfits that we never got to wear," "authentic styles bought 'circa' ago," and "pants that fit perfectly and made us feel fab; the flattering cuts, fabrics anything but drab." "For all these things we grieve, but mourn no longer; when we shop now, we'll cry less and be all the stronger." They admitted, too, that Harvey got rid of pieces they never had the heart to let go of. Trend-fashion faux pas, and those purchases "on impulse,"
For the loss of these space-takers, we thank you. 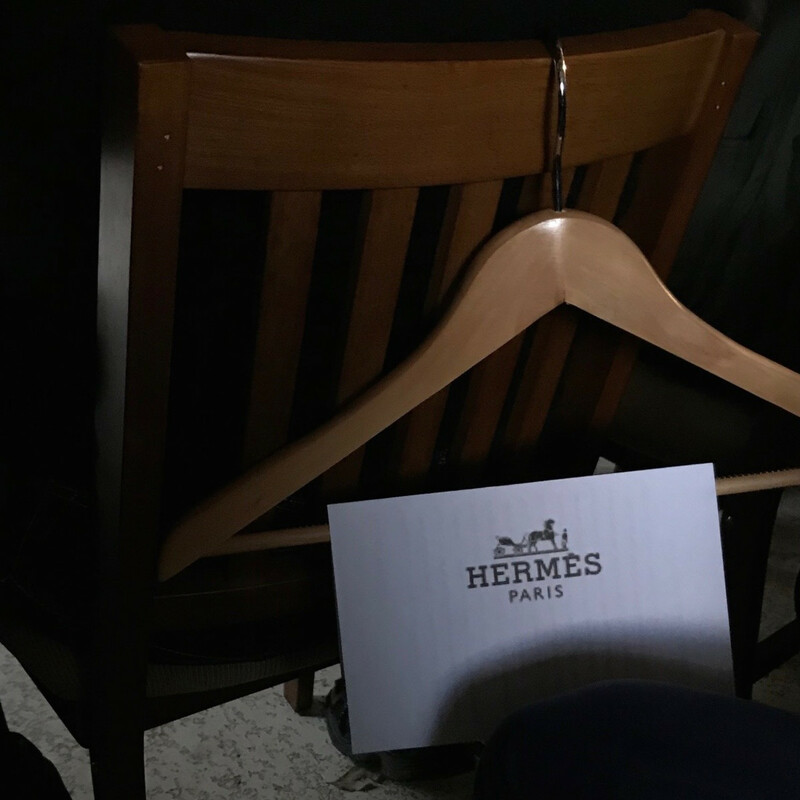 "On our terms, not Harvey's, we bid adieu and look forward with passion to future fashion pursuits," Beggins said. "We going forward — fashion forward," Bentley agreed. And even though Bentley's heart is not into shopping right now, Houston stylist Nicki Tal recently took her to Target, courtesy of a Pennsylvania woman who wanted to help out a Houstonian affected by Harvey. Used to styling people and not being the stylee, Bentley was determined to exhibit a new attitude. "Nicki had me try on something new and different. I bought something blue, things I had never thought to wear." 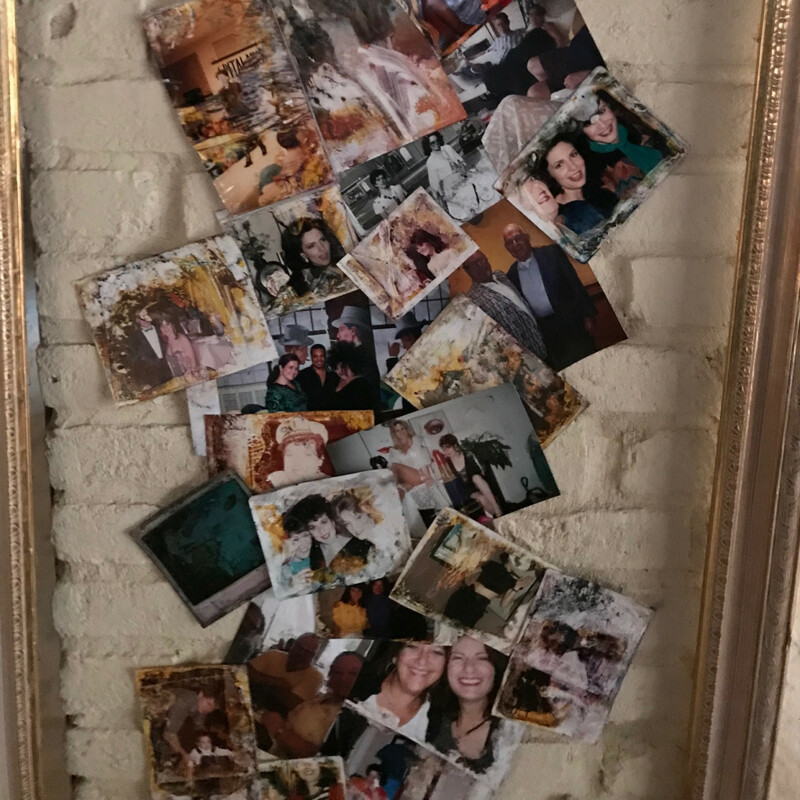 Bentley urged guests, too, to think of the things they want to let go of, write it down on a piece of paper, and toss it in a nearby fire in the backyard before they left, "because God wants us all to have peace and to be happy and to love one another," she said.